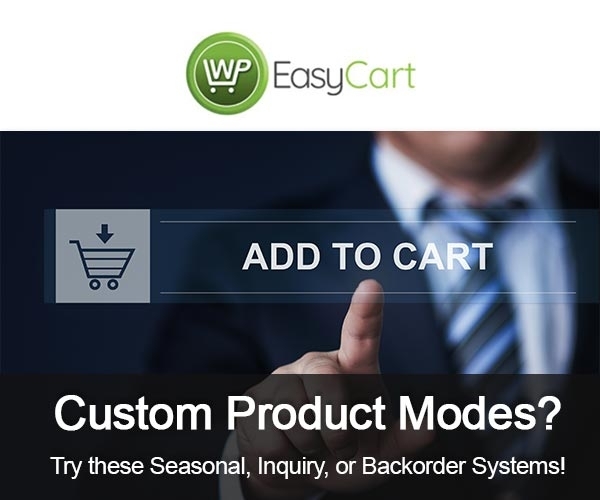 Learn how to put products into special "modes" to engage more customers with your WP EasyCart products! 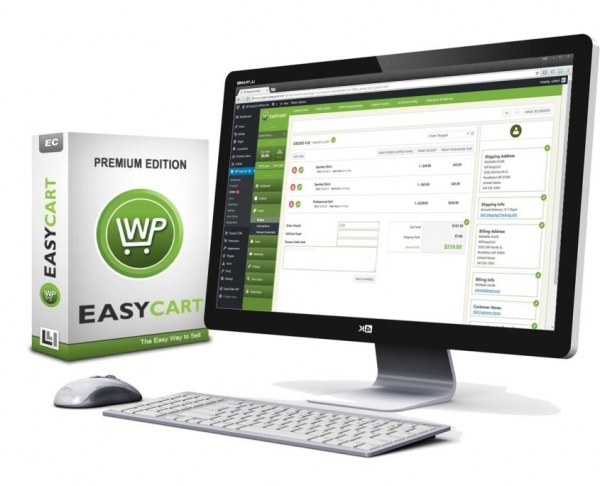 Learn how to engage more customers with product 'Modes' within your WP EasyCart system! Seasonal Mode: Removes the add to cart button and gives the user a custom seasonal message as to why the product is not available right now. Inquiry Mode: Removes the add to cart button and gives the user a way to submit a question. Use our custom email form, or link to your own custom inquiry form. 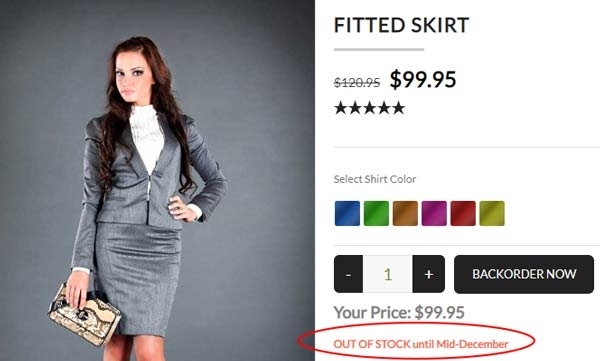 Backorder Mode: Removes the add to cart button and gives the user a 'Backorder Now' button along with an expected delivery date. Customer Reviews: Enables a new review tab on each product so customers can leave 5 star ratings and reviews. 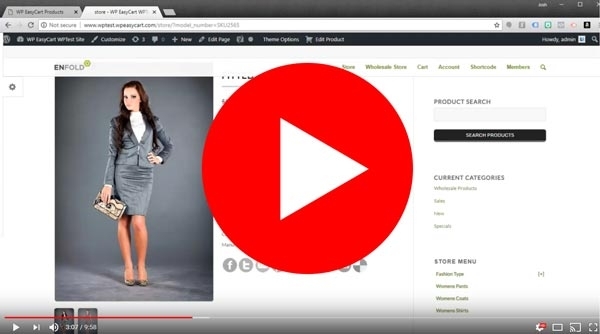 We created a "10 minute" video on setting up the various product modes; Seasonal, Inquiry, Backorder. We also show you how to enable and run customer 5 star rating review systems on each product. With seasonal mode enabled, your 'Add to Cart' button is removed and you can leave a custom message to the user. This is a great option to keep a product available for viewing, yet disable the ability for it to be purchased. Common usage might be for a fall, summer, spring, winter collection only available during a certain time, or to simply turn a product off that is not available at this time! 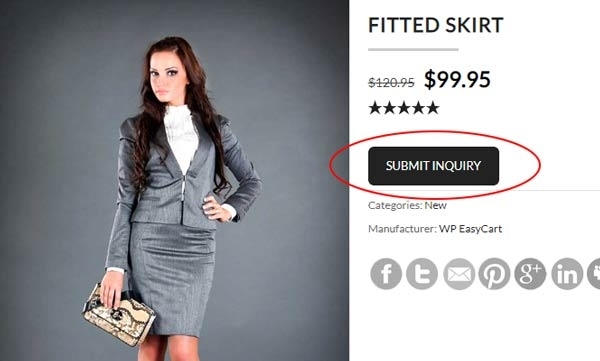 With inquiry mode enabled, your customers will not see the 'Add to Cart' button, but instead a 'Submit Inquiry' button. When clicked, a custom email form with name, email, message, and product information will be collected and sent. If you want to use your own inquiry form, simply add a custom url and it will direct users to your custom form. 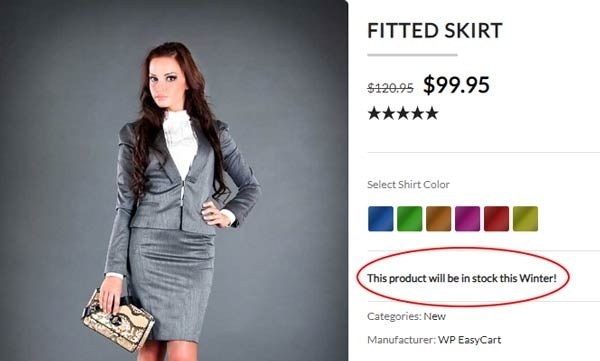 This is a great option for those unique products that may require customer contact before they purchase. Get the conversation going and retain more customers with inquiry mode! With backorder mode enabled, along with quantity tracking, you can remove the 'Add to Cart' button and let customers know they are ordering an item on backorder. You can leave a custom delivery date as well so users know what to expect while purchasing. Backorder mode can be enabled with a click, or you can enable it with our Quantity tracking, so products automatically enter backorder mode when inventory is depleted. This is a great way to keep customers purchasing products, while informing them of any delivery issues or out of stock product. While not necessarily a product mode, customer reviews is another engagement method that is available in EasyCart. 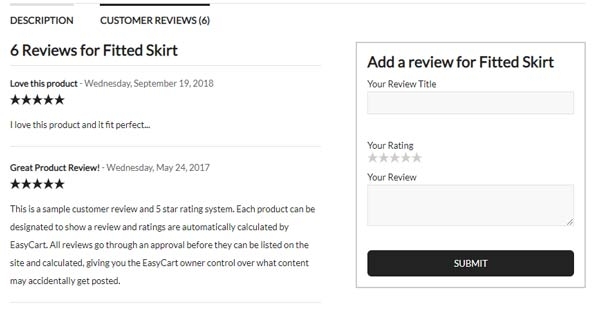 We offer a full 5 star rating and review system already in EasyCart, simply open any product, go to basic settings, and enable customer reviews. This gives your customers a tab to leave customer reviews, ratings, as well as see other customers comments. You, as a store administrator, can approve or disapprove reviews based on your decision. Customer reviews boost consumer confidence and give direct feedback to users buying your items. As everyone knows, positive customer reviews and engagement leads to increased sales.